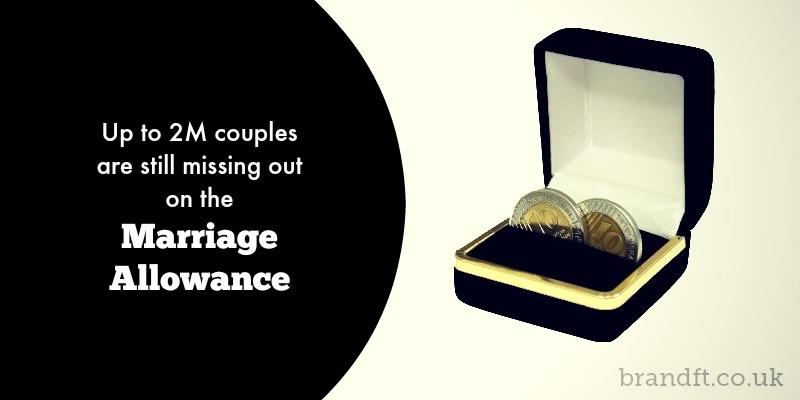 We recently read that up to 2 million couples are still missing out on the Marriage Allowance that was introduced almost 3 years ago, so we thought we would cover it here and perhaps serve two purposes; firstly it will help anyone studying for a CII tax exam, but it also might make us think who we know who might be able to claim. This, therefore, only benefits couples where one doesn’t earn enough income to use their full personal allowance (less than £11,500) and the other one is paying tax at no more than the basic rate. Both members of the couple must also have been born on or after 6 April 1935 – if one was born before this date then they can claim the married couple’s allowance instead. Barbara receives an annual State pension of £4,000. Her personal allowance is £11,500 so she can transfer the full £1,150 to her husband Michael. Michael is also retired and receives £15,000 per year made up of private and State pension. His personal allowance can therefore be increased from £11,500 to £12,650. The 20% saving on this extra bit of allowance is equal to £230. So why aren’t more people claiming this? We believe it’s because the people most likely to be eligible won’t necessarily be getting tax advice so won’t know the allowance exists. The fact you have to claim online may also deter some older people. Both national insurance numbers will be needed as well as information to identify the non-taxpayer, but it really is quite a simple process. The system confirms eligibility based on the facts given, and if the application is then successful, any backdated claim will be received by cheque and for the current tax year, HMRC amend PAYE codes. So, if you’re doing one of the CII’s tax exams, then this information will be useful – but equally, has it made you think of anyone you know that might benefit? If you’re studying for your CII R03 exam, and you don’t feel 100% confident of a pass, grab our free taster to try out one of Brand Financial Training’s mock exam papers for yourself. Click the link to download the R03 mock exam taster now! Alternatively, you can download the taster for AF1 or CF1 if either of those exams is causing you worry.